Overcoming alcohol addiction or alcoholism is not easy and although you may have recovered from alcoholism or alcohol use disorder, the disease is always there. This is why it is so important to properly manage this disease so that it does not make it’s way back into your life. When you struggle with alcoholism, everyday duties can often be a huge struggle. In turn, the individual may not be able to make sound decisions due to a lack of mental clarity. Instead of getting the help that they need to get better, they continue to self-medicate and drink which works to sustain the problem at hand. You can rebuild a life that is free from alcohol abuse with the proper treatment and recovery strategies. Those who abuse alcohol often self-medicate as a means of suppressing underlying issues such as a mental health disorder. Alcohol can help ease the symptoms that they are experiencing such as anxiety or depression although the effects of it are short-lived. As soon as the effects of alcohol wear away, they begin to feel their mental health issues creep back in. This is why alcohol is such a dangerous substance to abuse; your body becomes dependent on it. Alcohol addiction, as well as alcohol use disorder, require professional help and treatment in order to overcome. These diseases are chronic in nature which means they can become life-threatening if they go untreated. Unfortunately, alcohol abuse is one of the leading causes of preventable illness in the U.S., which close to 90,000 alcohol-related deaths occurring each year. For those who are struggling with alcoholism or alcohol abuse, treatment is necessary in order to make a full recovery. Without the right help, this disease will take your life. While this is a harsh reality, is it the reality nonetheless. Support is also a critical part of recovery and individuals need the support of both family and therapists in order to have the emotional strength to carry on in treatment. A combination of the right treatment programs can help individuals regain control of their life. Breaking free from substance abuse disorder is possible but it is something that takes commitment and patience as recovery does not happen overnight. 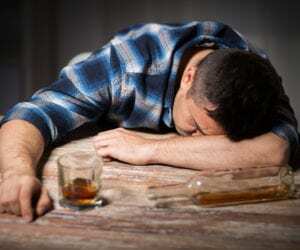 Close to half of those who have an alcohol addiction problem also struggle with an underlying mental health disorder. Once a patient has gone through various assessments, it will be determined whether or not a mental illness is present. If there is one present, getting it under control through medication and treatment can lay the foundation for a successful recovery from substance abuse or addiction. Stabilizing the individual prior to sending them into their treatment program is essential as they must enter treatment is a clear mind and a positive outlook. The time to get help for your addiction is now, as this disease will only worsen with times.